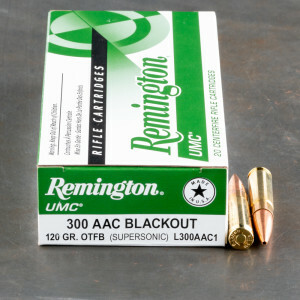 Hollow-point bullets for the 300 BLK come in two main varieties: open-tipped match and expanding. Open-tipped match (OTM) bullets are produced by swaging a thin copper jacket over a lead core from the base of the bullet to the tip. The result is a small, hollow tip and a more consistent bullet base. 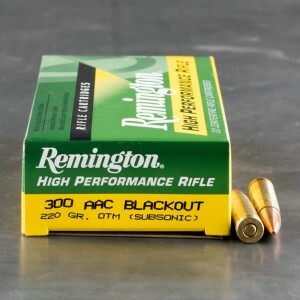 This consistent base results in greater aerodynamic stability versus traditional full metal jacketed bullets, but the thin jacket makes them poorly suited to hunting. 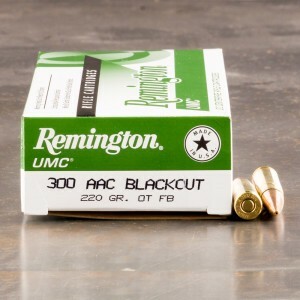 OTM bullets for the 300 BLK are the preferred choice of target and competition shooters who want the tightest groups possible out of their firearms. Expanding hollow-point bullets are designed to deliver controlled, reliable expansion and maximum damage on contact with tissue while still maintaining the accuracy-producing base consistency seen in OTM bullets. 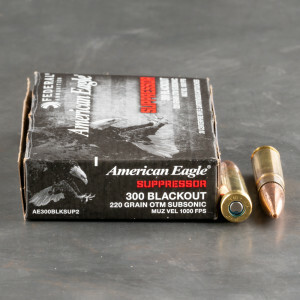 These bullets are perfectly suited to hunters looking for clean kills from their 300 BLK and for shooters who have selected the 300 BLK as a firearm for combat or home defense. Good clean ammo, going out Friday to shoot for first time. 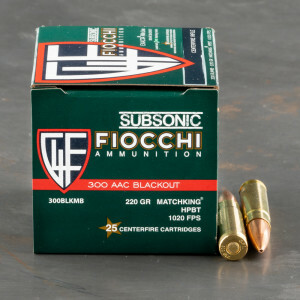 This is great accurate fairly clean shooting ammo at a decent price. It was shipped quickly in a fairly nondescript package. 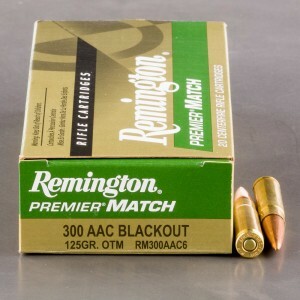 Keep in mind ammo is hazmat/regulated and even for the few extra pennies you pay for plain wrapping it still must be marked ORMD small arms ammunition. I will add that this functions perfectly in my 300 blk carbines and my 7"ar pistol.